It is known that Windows 8.1 is different from the previous Windows operational system. There is no sticker available on computer to list product license key. In Windows 8.1 computer, product keys are saved in the registry and evaluated each time you load a Windows update. If you can’t find your Windows 8.1 product key, there are the top 3 methods as below to teach you how to find Windows 8.1 product key. This method is only working in the case that you know computer program. From the above introduction, we know Windows product key is saved in the registry, so we open registry now to view Windows product key. Step1: Press Win + R to get the Run box appear. Step2: Enter Regedit into the textbox displayed and press OK button. Windows registry editor opens. Step3: Navigate to the “HKEY-LOCAL-MACHINE\SOFTWARE\Microsoft\Windows\CurrentVersion”key in the registry. This holds several Windows settings for your machine. Step4: Right-click the ProductId key and select Modify. View the number displayed. This is your product key for Windows. Press the “Cancel” button to avoid making changes in the value. Step1: Head over to this link and download Windows 8.1 product key. Step2: Run the program and check the option labeled MSDM key to view your genuine program key. And if Windows 8.1 wasn’t bundled with your PC and you manually installed it later, you can view the product key by unchecking MSDM key box. That’s it! Surely, above two ways work sometimes. But whether there is another way, more easily and effectively to find Windows 8.1 product key? The answer is yes. Product Key Recovery, it is a fantastic product key finder utility that can find product keys for many software programs like Microsoft Windows, Office, Visual Studio, SQL Server, Internet Explorer, and etc. Just with one click, you can recover your product key even you are a computer amateur. 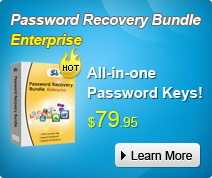 Step1: Get Product Key Recovery software and install it on your computer. Step2: Run it and click “Get Key”. Product Key Recovery would begin to find Windows 8.1 product keys. About few seconds later, you will see their product keys listed in the third-party tool. Step3: Click Save or Save to file button to backup the product keys to a text file. Open the text file, you would see Windows 8.1 product key is saved there. As far as I know, this method is the easiest and safest method to find Windows 8.1 product key.